With a rotating triple-dense layer foam disc that rotates & vibrates intensely, THE BFF does all the work for you - and it feels like relief & pleasure - not pain & agony! The intensive vibration desensitizes the soft tissue so you can go deeper into taught fascia & muscles with less pain. Foam rolling can be agonizing and time-consuming. 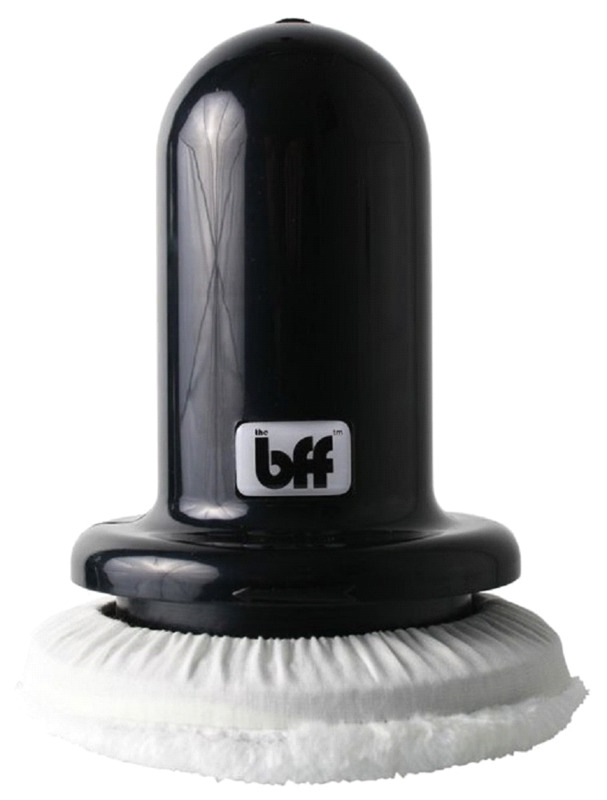 The BFF is an athlete's best friend, because it saves you tons of time, is super fun, and makes your body feel AMAZING (plus you can sip a cup of coffee while rolling!) If you have any questions, please give us a call at 800-355-2956. - 12 ft. Electrical Cord!